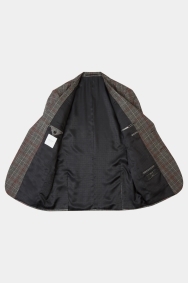 A failsafe answer for formal dress codes. 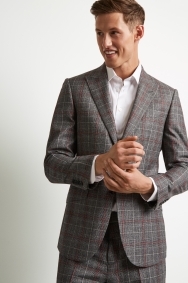 This bold check jacket will make you stand out in style. 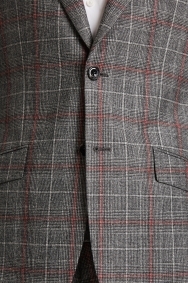 With its black, white and red check pattern and expert Hardy Amies tailoring, it is both sophisticated and unique. 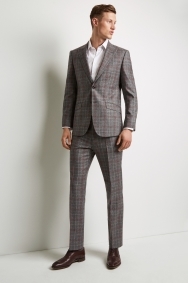 It’s also crafted from premium Marzotto wool from the famous Italian mill, which guarantees elegance and durability. 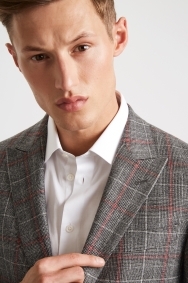 To complete the look, wear this jacket with the matching check trousers and an open-necked white shirt. 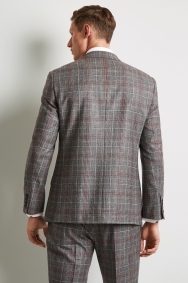 Bring out the red tones with a wine-coloured pocket square for added impact.